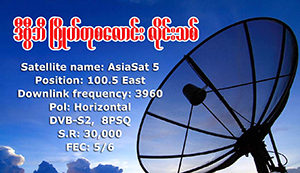 State-owned Myanmar Radio and Television and five content providers including DVB signed an agreement over the weekend to broadcast via digital free-to-air TV channels, in a landmark first for Burma’s media landscape. A Reuters investigation into the killing of Rohingya Muslims in Burma prompted demands from the US State Department for a credible investigation into the bloodshed there and calls for the release of two journalists who were arrested while working on the report. Two Reuters journalists facing charges under Burma’s Official Secrets Act appeared for their fourth hearing at a Yangon court on Tuesday, defiantly maintaining their innocence and accusing police of mishandling the case. Burma’s panel of international advisers on Rohingya issues will not get involved in the case of two Reuters journalists charged with violating the Official Secrets Act, its chairman told a state newspaper in an interview published on Monday. At the second proper hearing for two Reuters journalists facing charges under Burma’s Official Secrets Act, the plaintiff tells the court that Vice President Myint Swe signed off on the case being brought against the two men. The former governor of the US state of New Mexico, Bill Richardson, says he will work toward securing the release of two Reuters journalists arrested in Burma in his capacity as a member of an international advisory board on the crisis in Rakhine State. The case of two Reuters journalists begins in earnest at a Yangon court, with the prosecution confirming that charges under Burma’s Official Secrets Act are being brought against them. A group of Burmese reporters asks the government for details about the arrest of two Reuters journalists last month, arguing that the case could have implications for the ability of journalists to do their jobs. Burma on Friday freed two journalists for Turkey’s state broadcaster, their local interpreter and a driver after they completed a two-month jail sentence for violating an aircraft law by filming with a drone, a prison official said. Two weeks after they were detained and held incommunicado, a pair of Reuters journalists appeared in a Yangon court on Wednesday and were remanded for a second 14-day period.